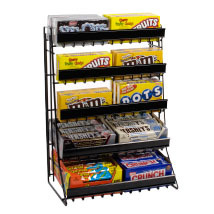 A great candy display that also works for other impulse items! 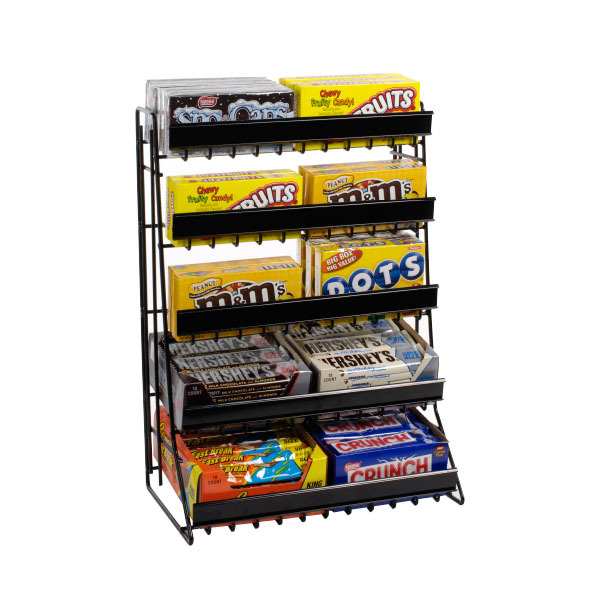 This 5 tier Candy Rack is perfect for Theater Size candy or any other larger sized packaging. This candy display has 5 shelves measuring 4 1/2 in. x 8 1/2 in. with a 1 1/2 in. H x 14 in. W sign channel. Signs not included. For additional options, we invite you to take the occasion to view our thorough collection of candy displays at Specialty Store Services now.